Thursday 1st December saw this years Gamesley Celebration of Achievement 2016, an event that I’m always happy to cover, as it is about highlighting the work of locals who are working to improve there local community. This year’s event was attended by Cllr Anne Western the leader of Derbyshire County Council, and along with the range of local community awards, featured a special presentation to current local county councillor Dave Wilcox, who is retiring after many years of service to the local community. Sunday 4th December 2016, saw the Old Glossop Victorian Christmas Fayre 2016 take place. The event now in, it’s third year saw over 40 stalls, along with a range of entertainment take over the streets of the ‘historic’ heart of Old Glossop centred around the Old Cross and the Glossop Parish Church. As you can see from the picture above, the event was heaving, and I hope the various traders and community groups in attendance had a great day, my only niggle and it’s a minor one was the reduced number of folk this year manning the stall, that took to victorian costume for the event. Saturday 26th November, saw Glossop get officially into the Christmas spirit, with a special Christmas Market, and the switching on of Glossop’s Christmas Tree. The festivities started early on in the day with the special Christmas Market, which saw an extended range of stalls on the outdoor and indoor market, staying open until 7.00pm rather than the normal earlier closing, along with a range of entertainment on the outdoor market, including a performance from the Cherry Bom Bombs burlesque troop. Along side this from the afternoon onwards Norfolk Square was transformed with a range of food, gift and community stalls along with a few fair rides on the front near the Norfolk Pub, and the Mountain Rescue Santa. Switch on was just before 7.00pm, with the lights been turned on by Pete Wallroth from Mummy’s Star along with the Mayor and Mayoress and the Mountain Rescue Santa. Gamesley’s Festive Market 2016 took place on Thursday 24th November, and was as usual a great evening of entertainment for those able to attend. Well done to all the organisers for a great event, which was also attended by the Mayor and Mayoress of the High Peak, along the Derbyshire Police and Crime Commissioner who attended as part of his #D383 tour, where he is aiming to tour all the villages in Derbyshire during his time in office. 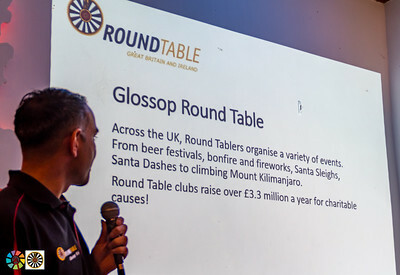 It was great to be asked to take photos at the Glossop and District Round Table organised Manor Park Bonfire and Fireworks Extravaganza 2016, which took place on Saturday 5th November 2016. The event included performances by the Tintwistle Band and the excellent fire dancer / eater Rivkah Goldberg along with two great firework displays from Fireworks2go. In time honoured tradition the fire was lit by the Mayor of the High Peak, who this year is St John’s councillor Cllr George Wharmby who was ably assisted by Guy Fawkes, with John Haynes from High Peak Radio acting as compare with music from DJ Colin. Suzanne and Edward’s Wedding : Congratulations to Suzanne and Edward who got married on Friday 29th July, in a ceremony at Islington Town Hall. Although it was built in the 1920’s the council chamber at Islington Town Hall, has the feel of one of those classic examples of Victorian civic pride with the council chamber in particular making a great venue for a wedding ceremony, with plenty of indoor space for photos for the grey day the weather predicted, with fortunately the weather forecast proving wrong and just turning nice in time for us to head outdoors for a last few shots. You can view the pictures from the wedding on the Suzanne and Edward pixieset gallery (as pictured below) by clicking here, which also includes options for getting prints delivered to your door should you so desire. Thank you to Suzanne and Edward for inviting me to be a part of your celebration. Glossop Carnival 2016 : Photos from the Saturday of this year’s Glossop Arts & Leisure AssociationGlossop Carnival, featuring The Fabulous Kapow Sisters, RSPCA Tameside and Glossop Dog Show, Glossopdale Community College Big Band and Uncle Chris Children’s Entertainer amongst other activities. Many thanks to all involved for arranging and taking part. As always the band from Glossopdale Community College were great and if you get the chance to go and see them play, its well worth the time. Baptism on the square : Photo’s from last nights Baptism on Norfolk Square organised by Whitfield Parish with Justin Welby The Archbishop of Canterbury, and Dr Alastair Redfern the Bishop of Derby. In addition to the service, there was also a dignified LGBT protest. Armed Forces Day 2016 : Photos from the flag raising ceremony for Armed Forces Day 2016, which took place on Monday 20th June in Glossop’s Norfolk Square.